﻿ Irish Film Institute -Win a copy of Pat Collins’ Silence on DVD! 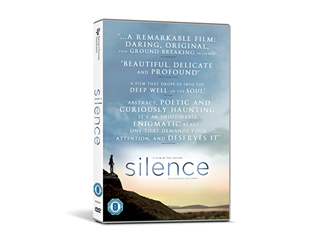 Win a copy of Pat Collins’ Silence on DVD! Described as both meditation and odyssey, Silence, the stunning new DVD from documentarian Pat Collins, traces the psycho-geographical journey taken by sound recordist Eoghan Mac Giolla Bhríde from Berlin to his native Donegal. This DVD is available to buy here for €14.99 (plus p&p), or you can pick up a copy in the IFI Film Shop! To celebrate the release of this DVD, we have 3 copies to give away. Simply answer the question below before midnight on Wednesday, November 21st 2012. The journey that Eoghan Mac Giolla Bhríde takes in Silence is from Berlin to where? Competition closes at midnight, Wednesday November 21st, 2012. The 3 winners will be chosen randomly from the correct answers and notified on Thursday, November 22nd.